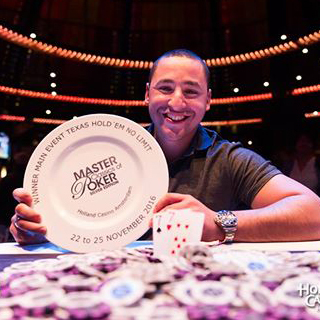 The Master Classics of Poker kicks off in Amsterdam with a two-week festival running November 12-26. The popular event takes place at Holland Casino with a €4,300 Main Event starting November 17, plus a host of side events. Amsterdam is such a fun city to visit – and we have a stack of hotels close to the MCOP tournament venue. Bag your room now for this great event. The first 40 players to register for Day 1A of the Master Classics are eligible to part in a special freeroll on November 12, with the winner getting their buy-in refunded. The Master Classics, one of Europe’s most popular tournaments, features a packed schedule including the €10k High Roller and €25k Super High Roller. Last year Dutch player Hakim Zoufri took it down for a €275,608 first prize after beating German pro Fabio Sperling heads-up. Sperling received €184,820 for his runner-up finish, with Finnish pro Juha Helppi and Britain’s Charlie Carrel also awarded spoils from the final table. Previous Master Classics champions include Ole Schemion, Noah Boeken, David Boyaciyan, Ruben Visser, Ram Vaswani, Robert Mizrachi and Jussi Nevanlinna. There were 365 entries in the €4,250 Main Event creating a prize pool of €1,409,760. Former EPT Player of the Year Ole Schemion took down the Super High Roller while EPT Dublin champion Noah Boeken scooped the High Roller.